Dimension One is a design-focused construction management and general contracting firm specialized in commercial interior construction. From London to Los Angeles, we're proud of the stores and relationships we've built. Our success is built on collaboration and transparency between team members who care deeply about getting it right. We stand behind every store we build and we will always have your back. We know what it takes to make your office feel like a perfect fit. Where you work is an expression of your culture and getting it right is critical to your success. We will work with you from concept to furniture selection and we won't rest until your team is settled into their new home. Site-selection, space-planning, programming, budgets and builds. We offer construction management consulting to guide you through any construction project. We will help you build a team that can deliver a project that meets your unique goals. A British high- fashion house and America's most storied shopping center. From the rose gold metal details, to the oyster stone and mother of pearl chevron floor to the custom brass storefront, every detail of the 2,200 square foot boutique shop in America's first shopping center speaks to Jimmy Choo's sophisticated and elegant brand. An Italian luxury fashion house finds a new home on Madison Avenue. A modern and bright workspace for Fendi's North America headquarters on the 15th floor at an iconic address in the heart of Midtown New York. A Global Maison in the largest shopping mall in Florida. 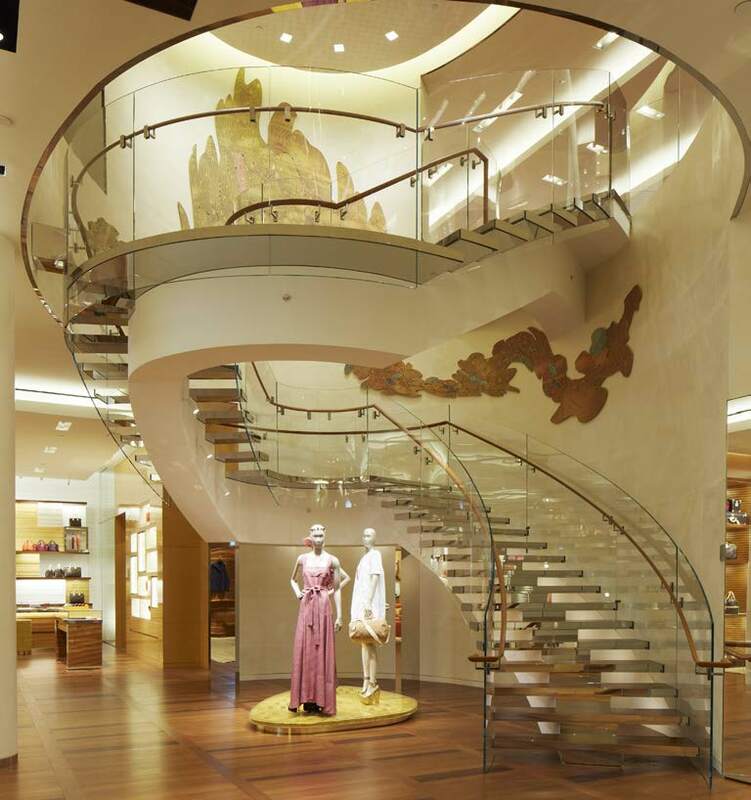 A two-story flagship store and one of Louis Vuitton's largest stores in the United States, this Global Maison features a private entrance, a custom glass staircase and the largest custom Ductal facade in the United States. Art to elevate and inspire. Beautiful art, like beautiful spaces, transcends time and cultural boundaries and knits us together in the human experience. From a tribute to Charlotte Perriand's unrealized beach-house design to an Anish Kapoor we have experience handling and installing art that can transform a space into an experience.